- The average person is exposed to more than 5,000 selling messages each day. - Companies with substantial advertising budgets gradually discovered that there was too many "noise" in the print and electronic media, and TV commercials. - By developing an alternative channel of communication via sports sponsorships, companies found that they could achieve new levels of exposure, at lower costs than through ad campaigns. 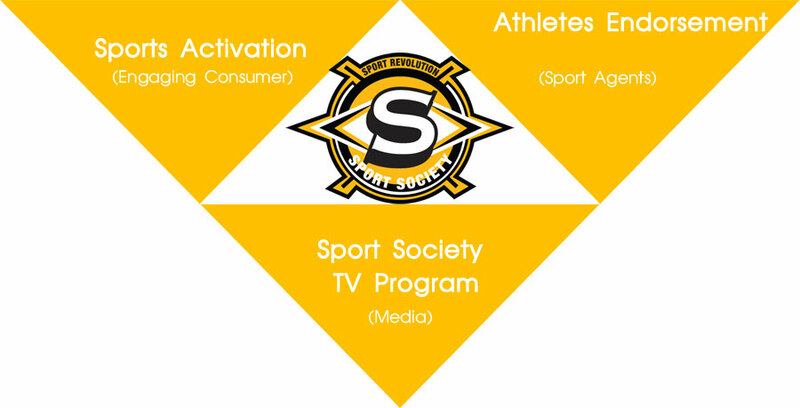 - Increasing market value of sport celebrities, and teams all provided sport with more visibility, and attraction to consumers, hence giving sponsors and other licensees a credible vehicle for communicating their commercial messages. - The Sports economy in Asia Pacific has a total value of $17.7 billion and beyond in 2009). WHO ARE DOING SPORT MARKETING? - Forward thinking corporations will this opportunity to rise above the dizzying array of unsolicited marketing activity bombarded at consumers by brands struggling to make their message heard. - Most, if not all, consumer products are taking parts in various fields. - How can sports be the next marketing novelty that serves a customized solution to the clients? - How can the interactive sporting platforms extend the communicative vitality of your brand ? - Are you all set with sports marketing savvy to soar with this wave of upward momentum? - The increasing market value of sport celebrities, and teams all provided sport with more visibility, and attraction to consumers, hence giving sponsors and other licensees a credible vehicle for communicating their commercial messages in the most subtle way. - We must reach out to the public. - We must present local sports in an exciting and entertaining way. - We must encourage participations from the audiences. - We must show what audiences want to see, and present products in the most fashionable style. - Where else can you go on air 15 minute everyday, 30 days a month and pay less than 1 minute cost of airtime on Free TV. - PSI satellite (C Band) covers more than 5 million households around Thailand, and True Vision (KU Band) covers more than 700,000 households. That covers just about everybody that counts! - People who have cables or satellites definitely are the ones with purchasing power.